So, I was in page settings (under MORE), doing my thing - hiding links to subpages, attachments, and comments - and I saw a page description field. This is brand new! Let's look deeper on this small, but important update! Page Description - Believe it or not, that wasn't there before. I promise. For most, this will have a positive impact on public facing websites SEO. Now you can specifically create the meta data for pages. Let's map out an example. You are an attorney who focuses on three different areas of practice: family law, criminal law, and estate law. The Site Description creates a blanket description for your website, so you might describe that you are a lawyer in Anytown, USA. Now let's imagine you have a page under Services called Family Law. Page title is very important, but it's good to follow that up with a good description explain that you handle Divorce and Child Custody. This page information will be factored in to your page rank for search engines. For the intranet user the effect is less profound. This page description, so far, doesn't influence the search tool. So really this may only be a nice place for editors to leave notes about the use of a particular page, though a bit too conspicuous. When looking at the Page Source Code you'll see that this Page Description creates meta data important for SEO. This update tells us that the Google Sites team cares about public facing websites. It's been clear that Google Sites is foremost an internal tool, but this update really goes to show that Google Sites is a viable public website platform with competitive SEO options. It's always been good, but now it's even better. Does this work with Sites for Google Apps? I'm not seeing the option on the New Page screen. Any ideas? Thank you. how to hide part of the attachments from the public view? @Michael - I first noticed it in a Google Apps account, yes. I'm not exactly sure if it will roll out on a Google Apps update schedule though. @Honglang - In page settings, uncheck the box for allow attachments. This in effect hides them, because really those attachments are still hosted on the page and links will stay valid. I mean like for course site, I want to hide the materials for the future and show the other materials. How can I realize that? Can specifically create the meta data for pages. That's just one of the highlights. Google never fail impress anyone here. I should be trying to roll mine. And see how's it gonna work. I understand it all, thanks for sharing this to us, looking forward for more updates. Great ideas shared, this helps us a lot. This blog is very helpful to me, Thanks for sharing.. This web site help to learn Seo.i hope this information will help me in future. Thanks for sharing this wonderful tip on blogger. I am a big enthusiast of blogger and that’s why I have created 3 blogs on the blogger platform. Actually, I was looking to add a separate keyword and description on each page of my blog and I’ve managed to find the required information from your blog. So nice improve in Google Sites. Im waiting this so long. 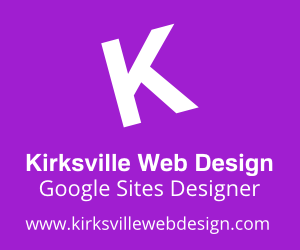 I think it will make more effective for SEO in my Google Sites. Thanks you very much Google Sites team - Best Wish for you. This improvement update really goes to show that Google Sites is a viable public website platform with competitive SEO options.it can help in many ways of creating the Websites. Its really a nice informative seo post and I know this post is very useful for many people’s. I am really satisfied for reading this about your allocation, great article post. In expediency thank you! Good luck for the next! Want more. search engine optimization consultants ranking by the major search engines, but are instead used by them as a preferential way to describe the page in the SERPs. The SEO professionals of Melbourne also monitor the content management system, source code and databases properly before proceeding to the next step.